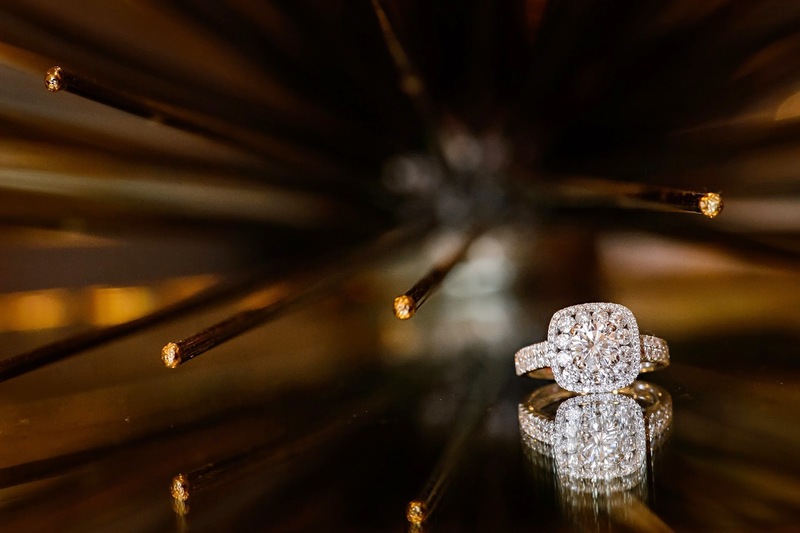 Two of the main reasons I started a blog are to be able to share my favorite finds whether they be beauty, fitness or, in this case, wedding-related and also to be able to share helpful hints I learn along the way that you might not read elsewhere. I'm tired of clicking on links about "Ten Things You Need to Know about XYZ Subject" only to find out they are mind-numbingly basic things I already know. Obviously not everything you read here will be completely original, unique and groundbreaking, but I hope brides-to-be will at least learn something. I compiled a mental list of useful information throughout my wedding planning process along with some questions I think brides should ask themselves. As I mentioned in my previous post, I wanted to wait until after the wedding to make sure it all rang true. I'm sharing this in a few parts to prevent it from being any longer than it already is. Past brides and future brides, let me know what you agree with, disagree with and what you can add! Many brides and grooms say "we just want to enjoy our engagement for awhile"...and you should, but there will be plenty of time to do that. Unless you're getting married within a few months, there will be a lull in the middle where you're in a holding pattern and can't do much. Get some major things out of the way early then spend that waiting period enjoying being engaged. Don't sit around "enjoying" for months at the beginning then realize your favorite venue and vendors are booked. And even more importantly, start saving the day after you get engaged. I am not exaggerating. Unless you are incredibly lucky and someone is writing you a blank check for every, single expense, (ha! wouldn't that be nice?) you will be grateful for every penny you saved. Even if someone is paying for your entire wedding, does that include bridesmaids gifts, your hair, makeup and spray tan, the hotel where you might be staying, tips for your vendors, food and drinks for your wedding party while getting ready, outfits to wear to wedding-related functions? The list goes on; it adds up. -Pick your venue first and then do nothing else for awhile if don't want to. -Unless a specific date is super important to you, pick a venue, then a date. The venue is central to your entire wedding, so if you're flexible on the date, you'll be more likely to get the place you want. We didn't have a certain date in mind, we just knew it couldn't be during sweeps (TV ratings periods) or hurricane season. That left us with, mmmm, about three months to choose from. 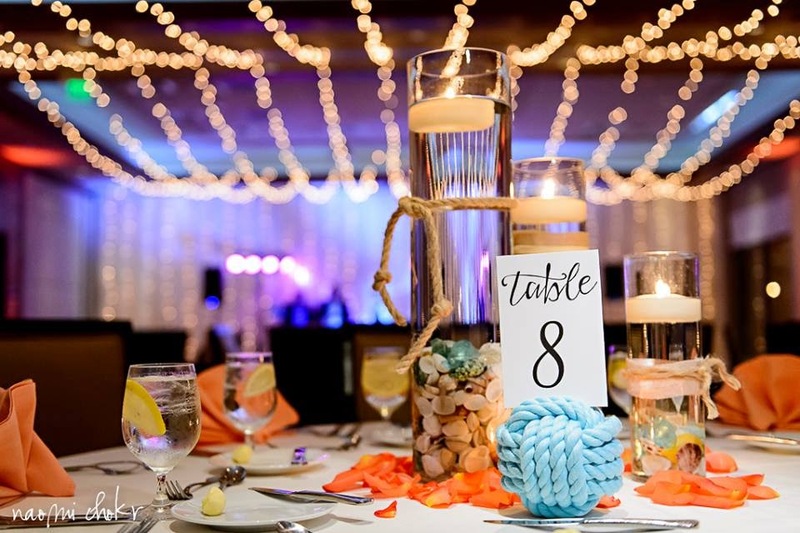 Several Saturdays during those months were booked at the Sarasota Yacht Club, so we narrowed it down and picked one. -Consider all aspects about the date you choose, including sunset time. -Enjoy dress shopping. It just may be one of the best parts of the whole planning process. 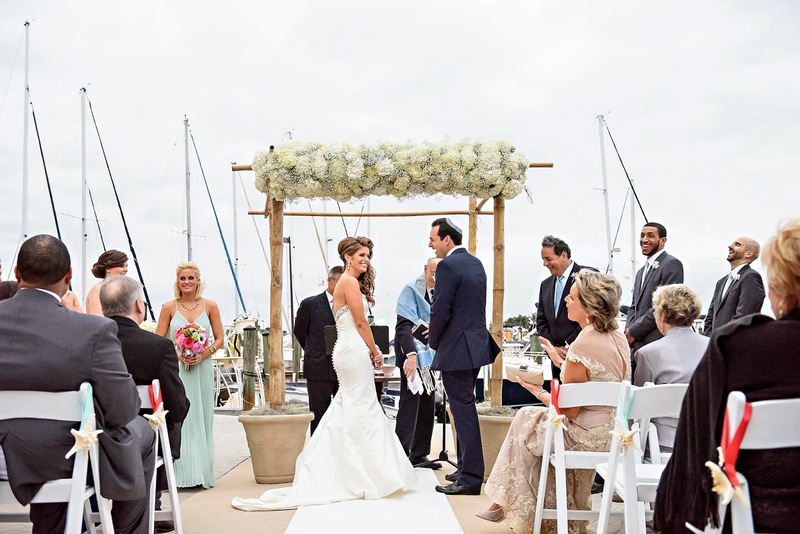 -Do you want your wedding to be more about the experience or the photos? This is not a trick question and there is no right answer! Just figure out which one is right for you and plan your wedding day accordingly. If you want a "first look" and many, many portraits, you will have to start getting ready early and carve out a lot of time in your day for photos. For example, my sister is the photo lover, I am not. It actually works out great when we're together, because she'll take a million photos and I will benefit from that! For example, on my wedding day, I did not take one photo on my phone or camera. She probably took a thousand and luckily, I'll get to share some of those with you on this blog! I'm not going to debate whether you should have a first look, because there are pros and cons and everyone has different views on this. 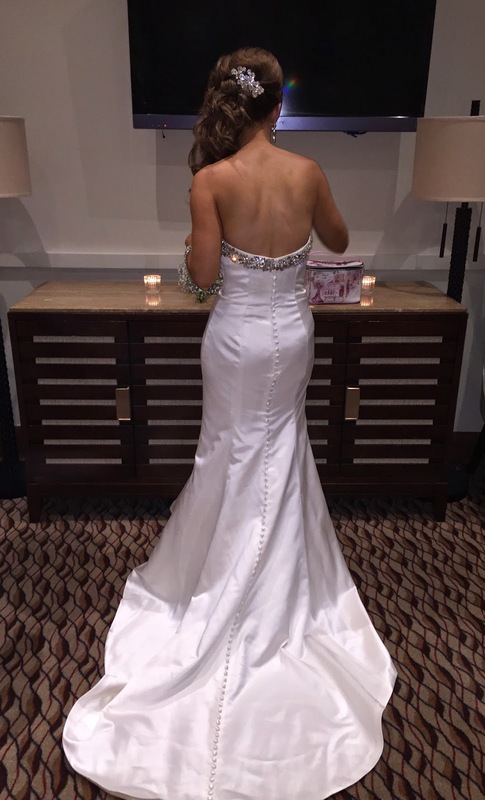 I just knew I did not want to do it because after hiding my dress from Max for 15 months, I was not going to let him see it until the moment I walked down the aisle. We did, however, see each other on the wedding day before the ceremony. This was mostly because I dropped my phone in the toilet at my bridesmaids luncheon the day prior, and he had to bring me the new one he got at the AT&T store that morning. Fun times! We also practiced our first dance in the hallway of the hotel. All of that craziness was just so "us," so I felt like it was quite appropriate. -You don't have to buy every white dress you see. I don't know if it was Michelle Obama's first term inauguration dress that started it all, but it seems white dresses have become more and more popular and have been in-style now for several years. While it used to be mostly just for summer beach vacations, the white dress now transcends season and occasion. That means there are a lot of them out there, and with a personal penchant for white and neutral styles already, it was hard for me to resist not buying them all. But here is the good news, you can wear white dresses long after you're a bride. 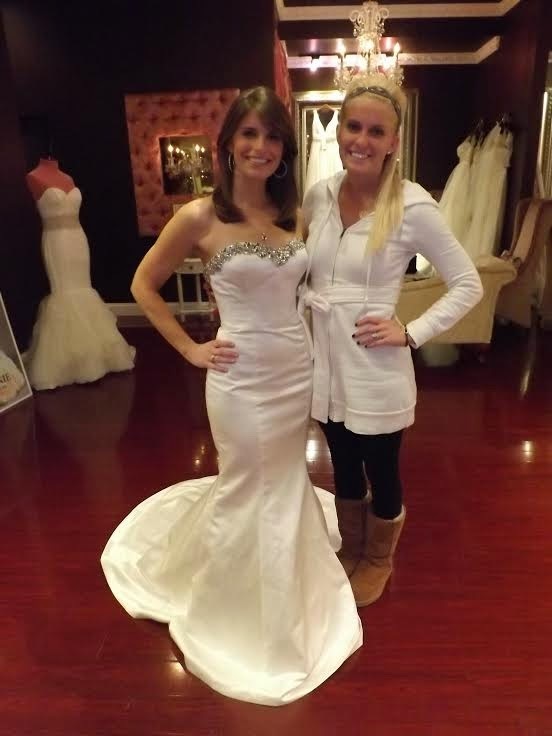 Unlike some brides, I didn't have all that many pre-wedding events, so I didn't need a dozen white dresses. And guess what? Even if you do, you don't have to wear white to all of them. I wore a black and gold dress for my bachelorette party, a purple dress to my shower and a nautical-inspired dress to the rehearsal dinner. -You will have doubts or start changing your mind about some of your choices and decisions. As long as it's not about the groom, don't worry! I believe in most cases, your first choice is usually the right one. It's like what you always hear about taking a test: If it's your intuition and natural inclination to pick a certain answer, you probably shouldn't go back and change it. This goes for most wedding choices, too. I'm not saying you can't make tweaks or even somewhat-large changes, but just because you saw something on Pinterest, should you really go from garden party soiree to black tie formal event? Since I'm writing a separate post about my dress, I won't go into the details right now but I definitely had second thoughts during that period after placing the order and it coming in. My sister assured me this happens to many brides and it's normal. And what's the number one thing I could not stop saying after the wedding? "Damn, I LOVE that dress." I still do. Every time I think about it. It was the dress of my dreams. And on a smaller scale, I started to waver on my bouquet. From the very beginning, I had in my mind that I wanted a very colorful bouquet with all varieties of blooms. I had this one pin of a bouquet on Pinterest cemented in my mind. My dress wasn't very busy, so I knew I could go a little bolder with the flowers. Then closer to the wedding, I started to see these mostly-white bouquets that were just gorgeous. Since you can change your mind on flowers pretty close to the day, I went back and forth in my mind a little. "Maybe I DO want a white bouquet!" This is obviously not a life-and-death decision, but of course, your bouquet should be special. I trusted my gut and my initial desires and went with the colorful bouquet, no regrets! -Don't think you have to have THE wedding vendors. You know that super-cool florist who does all the most important weddings and events in your city? Or the cake place that has been on a reality show for its crazy creations? Yeah, I'm sure they're wonderful. I bet they'll do a nice job; that's probably how they got a great reputation. But they might also cost you a pretty penny, and part of what you're paying for might be the name. I am definitely not suggesting you skimp on choosing great vendors, but you might be surprised what your neighborhood place around the corner can do. I definitely did not know the scope of what some vendors offered until I met with them and saw some of their previous work. -People will tell you you HAVE to have something at your wedding. Do not listen to them. You do not. For us, this was a videographer. I don't even know what they cost because I already knew before finding out that it wasn't in the budget. I know they aren't cheap and there wasn't anything else I wanted to get rid of in order to have a videographer. For you it might be something else. You can't miss what you never had. Just know that your wedding day will come and go and as long as the groom and your favorite people are there, you probably won't miss whatever else wasn't there. Also know you can skimp on certain things to make room for others. We went with non-floral centerpieces. With what flowers cost, we would have had measly arrangements for the price we paid for the vase/candle/shell look. -Do you really need programs, menus or favors? -Start your invitations earlier than you think you need to. Never in a million years did I think ordering invitations would be such a process. Even if you don't even know who you're inviting yet, you can still pick out what you want. 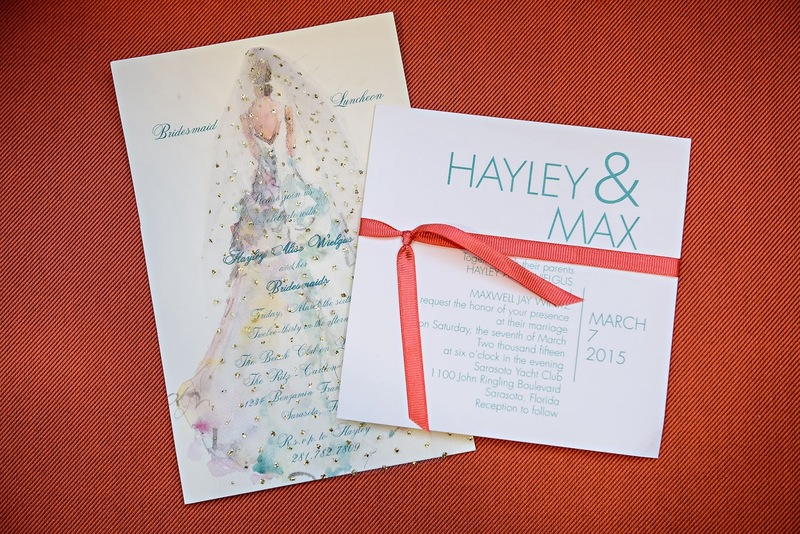 Once you choose the invitation, you still have 100 choices of font, printing style, wording, envelopes, etc. Then you have to get a proof, then you might make changes, that's another proof, and the cycle continues. We also experienced setbacks that were out of our control, including multiple medical emergencies at the store where we ordered our invitations that fell right in between several holidays. This kept pushing things back. Then somehow we were short on envelopes. And don't even get me started on formatting the address list! (Thank goodness Max did that.) Moral of the story, start as early as possible and be patient.